The employees of the Central Government of India will enjoy the benefits of the online platform for accessing all their service related information. 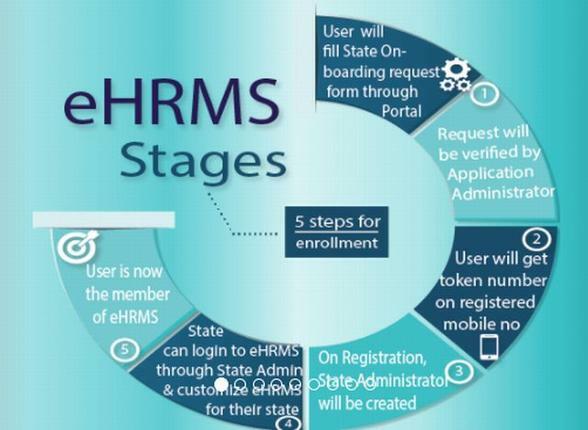 Jitendra Singh, the Union Minister of the state launched the e-HRMS (electronic-Human Resource Management System) and observed the initiative as positive as the personnel is the ministry of public grievances and pensions. Commenting on the occasion, Jitendra mentions that the new online portal will be of great benefit to the central government employees as they can have full access to their service-related information while claim various benefits like leave, loans, advances, reimbursement, tour, etc. The portal was launched with an aim to make the employees independent from the administration department for accessing or update of the data. The new program helps to quickly match and track the status of the details required. The initiative is in order to digitalize the Human Resources Management process and system that helps keep a record of all the services like retiring to hiring on an automated mode while dispensing the traditional mode of personnel management process. Everything will be available on the dashboard while all the upgrading and claiming requests will be audited by senior personnel and will be liable to accurate accountability amongst all the government employees. The DOPT (Department of Personnel and Training) that carries all the employee related services in its e-service book launched in the month of March will be induced in the e-HRMS system. The minister further launched five modules of Twenty-five applications of the system. The personal information included in the five modules has functions like employees updating their information, sanctioning and claiming of leaves. Another type of modules involves loans like advances, LTC (Leave Travel Concession), sanctioning of tour-related requests or allowances on the submission of the application.